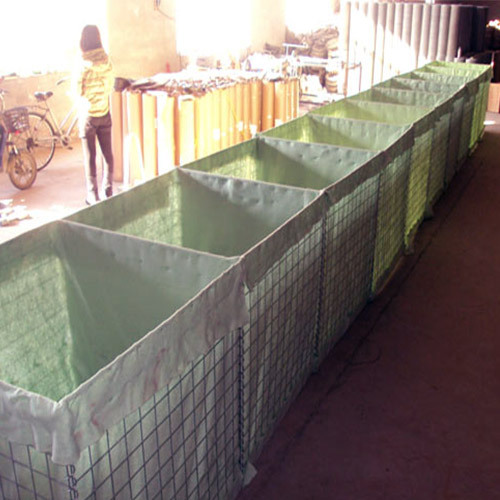 Hesco Barrier - Buy Hesco Barrier Product on Anping County Shengxin Metal Products Co.,Ltd. 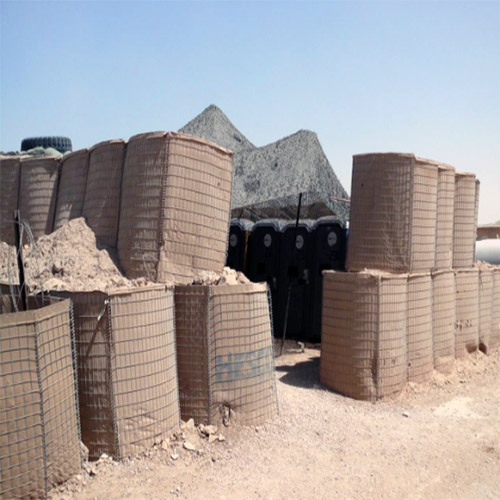 The HESCO bastion is a modern gabion primarily used for flood control and military fortifications. 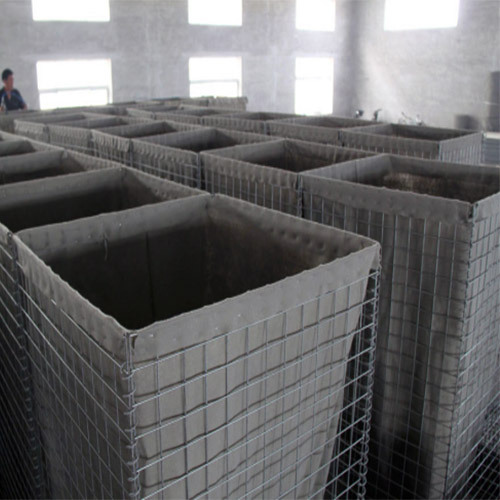 It is made of a collapsible wire mesh container and heavy duty fabric liner, and used as a temporary to semi-permanent levee or blast wall against explosions or small-arms. It has seen considerable use in Iraq and Afghanistan. It was developed in the late 1980s by a British company of the same name. 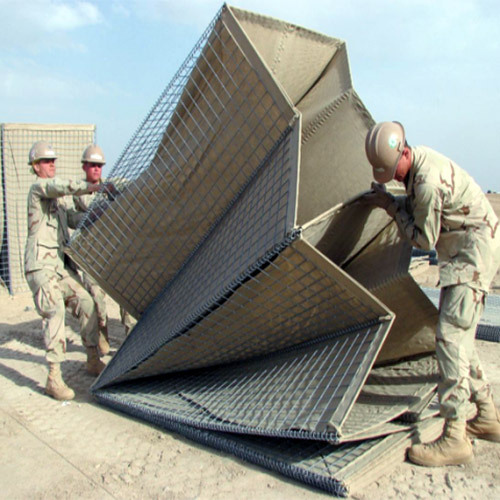 Originally designed for use on beaches and marshes for erosion and flood control, the HESCO Bastion quickly became a popular security device in the 1990s. HESCO barriers continue to be used for their original purpose. They were used in 2005 to reinforce levees around New Orleans in the few days between Hurricane Katrina and Hurricane Rita. During the June 2008 Midwest floods 8,200 metres (9,000 yd) of HESCO barrier wall were shipped to Iowa. In late March, 2009, 10,700 metres (11,700 yd) of HESCO barrier were delivered to Fargo, North Dakota to protect against floods. In late September, 2016, 10 miles of HESCO barriers were used in Cedar Rapids, Iowa, for the fall flood of 2016. Specifically, the brand name for the barrier is "Concertainer" (a portmanteau of "concertina" and "container"), with HESCO Bastion being the company that produces it. 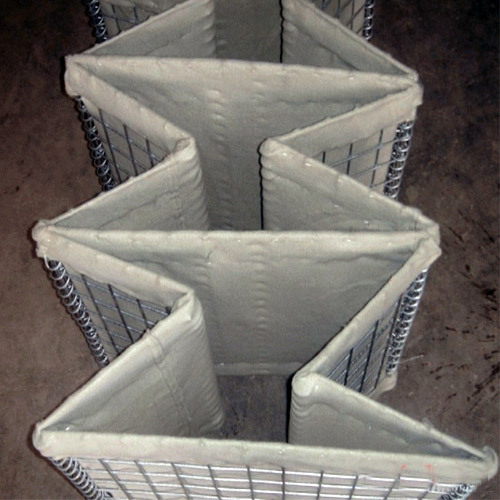 The HESCO barriers come in a variety of sizes. Most of the barriers can also be stacked, and they are shipped collapsed in compact sets. Example dimensions of typical configurations are 1.4 by 1.1 by 9.8 metres (4.6 ft × 3.6 ft × 32.2 ft) to 2.1 by 1.5 by 30 metres (6.9 ft × 4.9 ft × 98.4 ft).